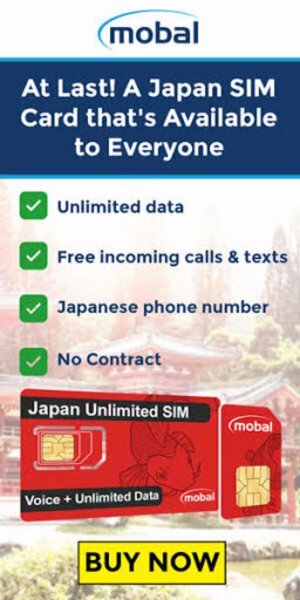 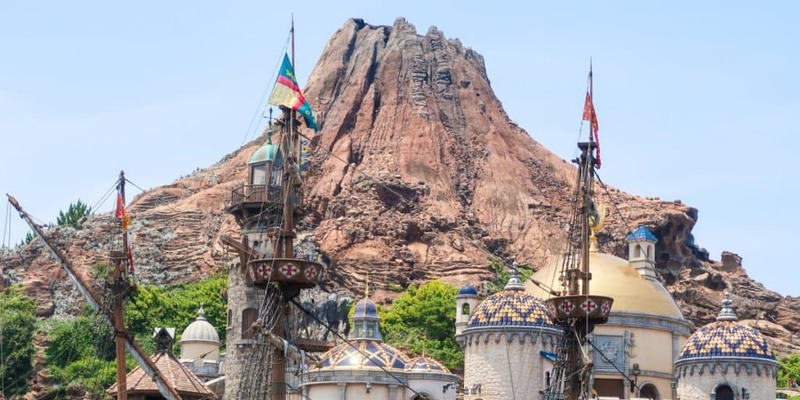 Oriental Land Co., Ltd. is investing about 250 billion yen (US$2.2 billion) which is the largest expansion ever announced. 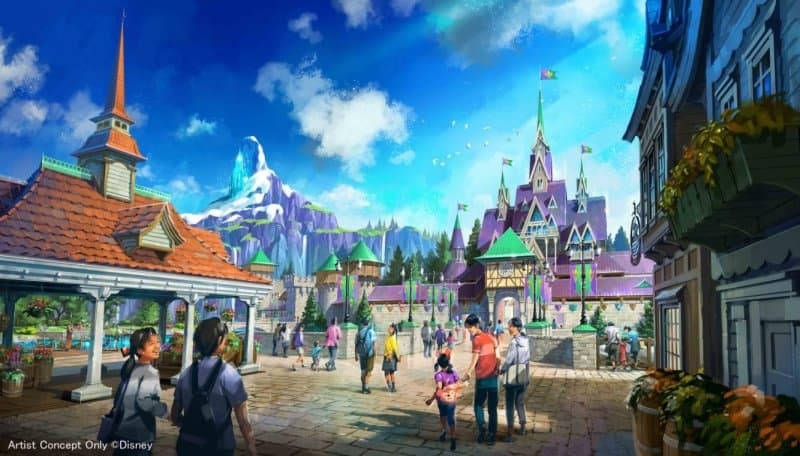 This expansion includes a brand new themed port with three areas themed to Frozen, Tangled, and Peter Pan, 4 attractions, a deluxe hotel, shops, and restaurants. 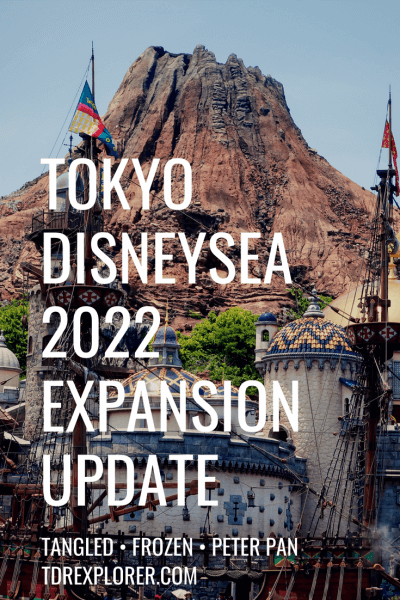 This expansion is planned for fiscal 2022. 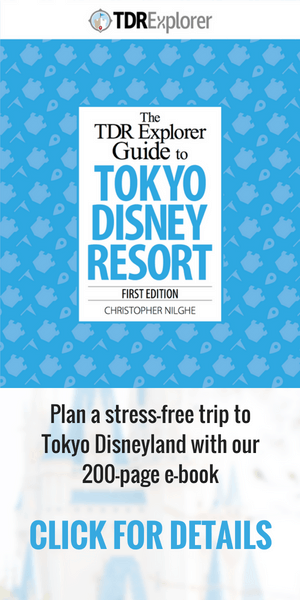 Read here for full details. 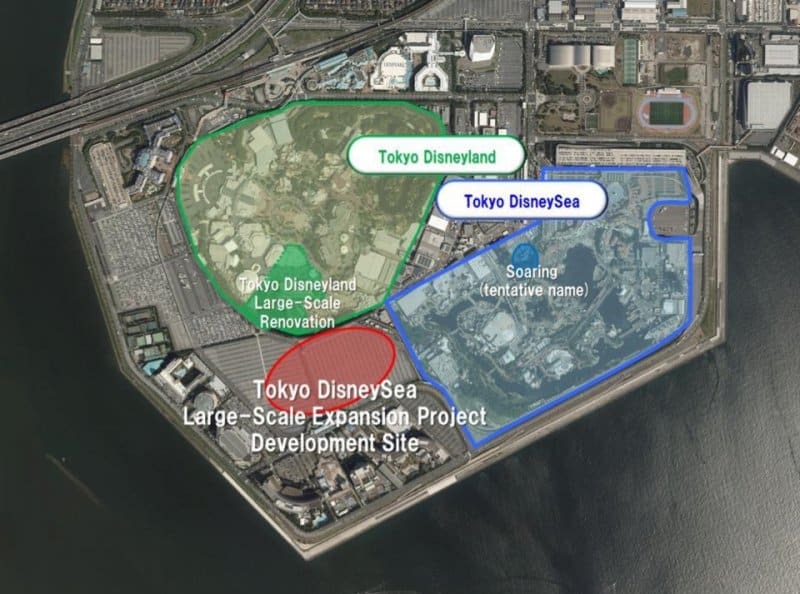 This is in addition to the current expansion already happening at Tokyo Disneyland finishing in 2020 in time for the Summer Olympics. 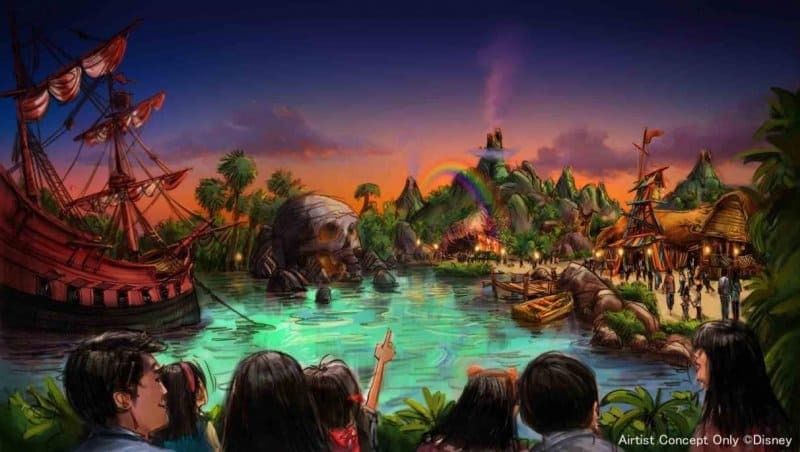 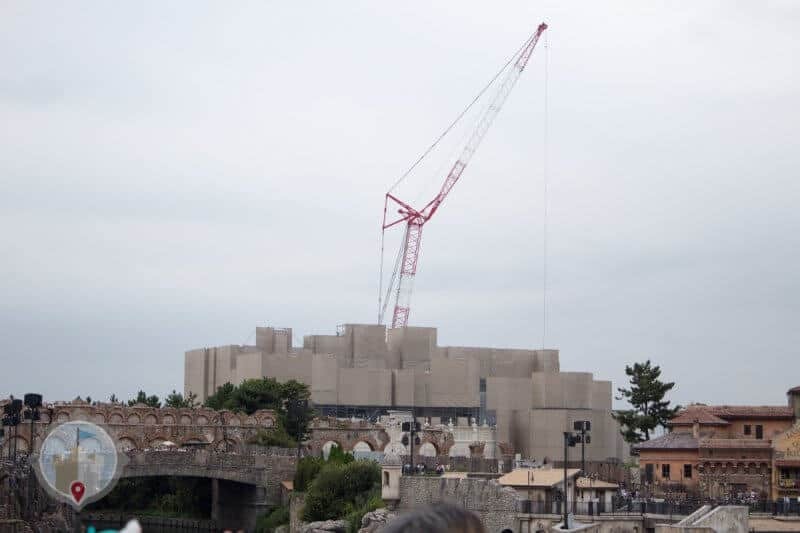 Construction of this expansion at Tokyo DisneySea has begun and we’re in for a long 4 years of construction at Tokyo DisneySea. 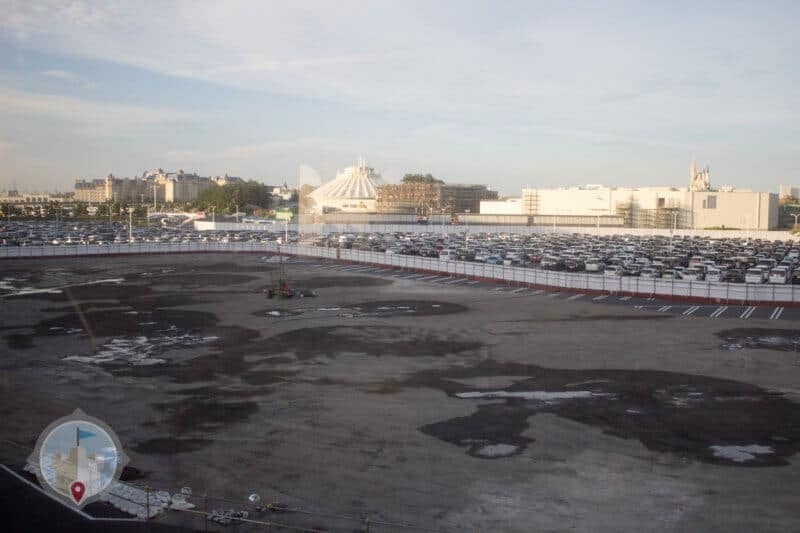 The expansion is going behind the Park and taking out part of the current parking lot. 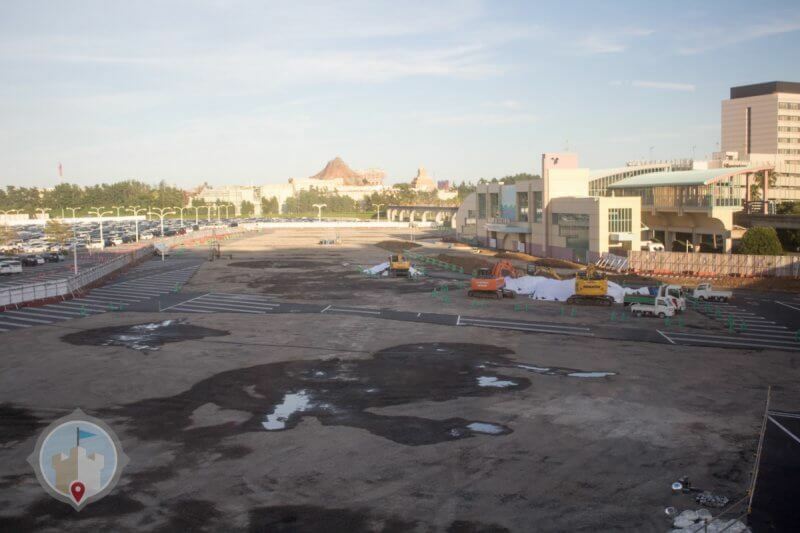 We’ll update this post with photos every few months or when there is major progress on the construction. 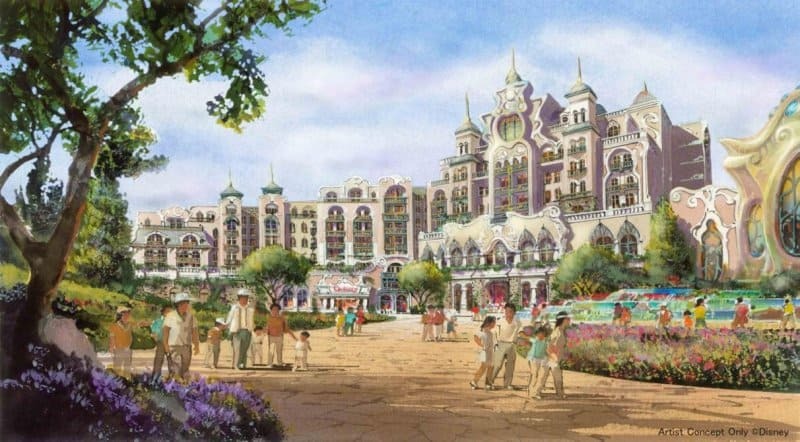 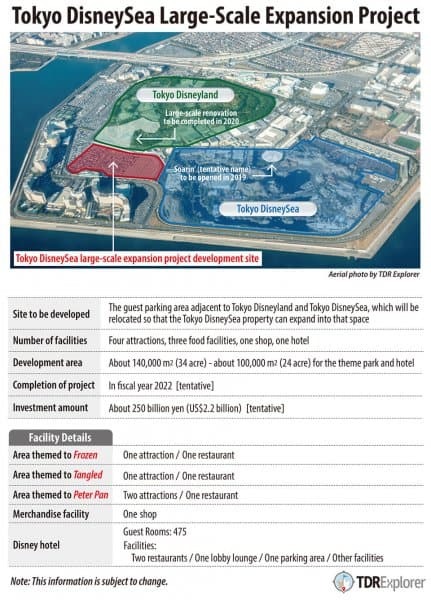 It’s an exciting time at Tokyo Disney Resort and a lot of changes are coming in the next few years. 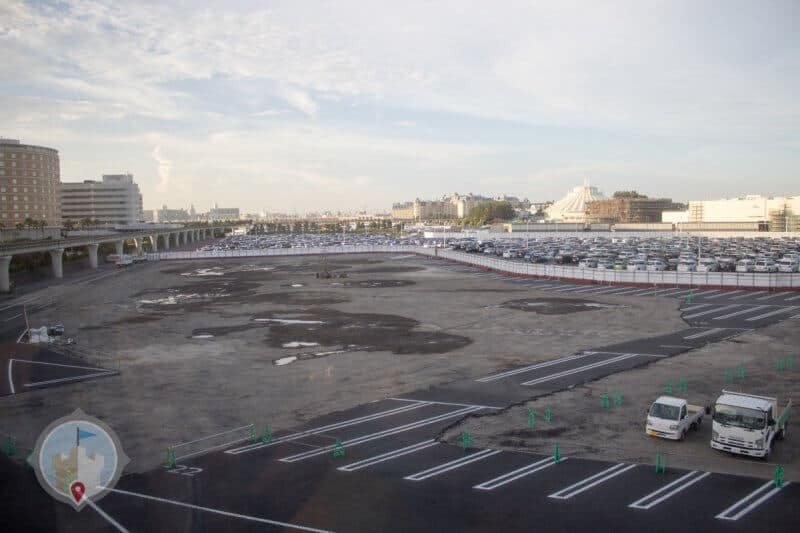 Construction has just begun this summer in the parking lot neat Bayside Station — where the Official Tokyo Disney Resort Hotels are. 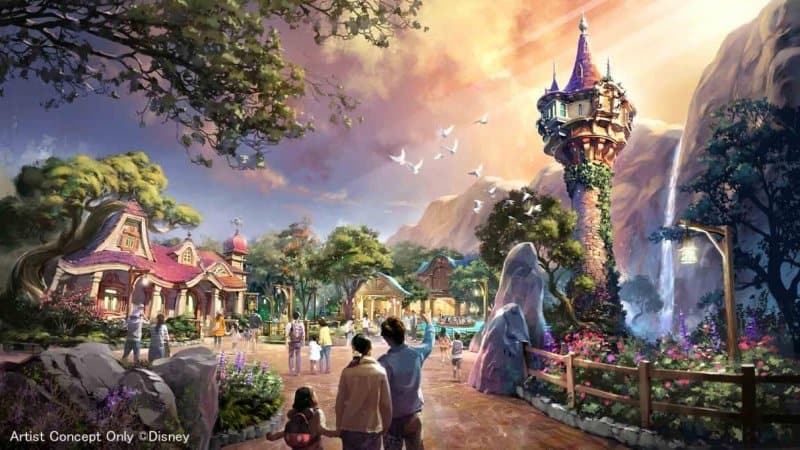 There’s not too much to see yet. 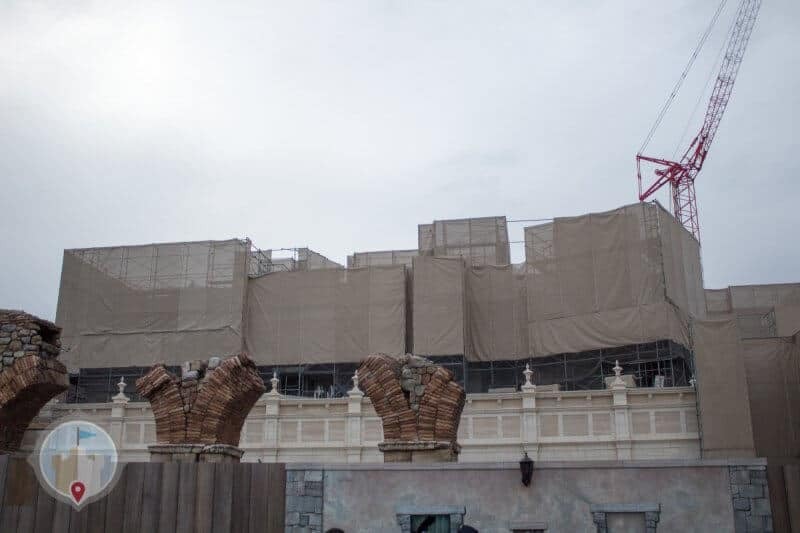 Soarin’ (opening 2019) is coming along, where you’re able to see parts of the building.